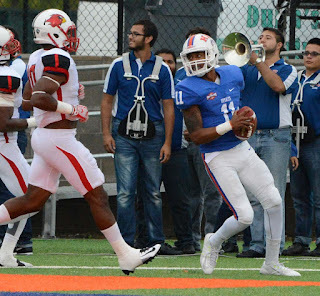 HOUSTON, TEXAS (October 31, 2015) HBU quarterback Tony Dawson completed 16-of-36 passes for 136 yards and rushed for 56 yards but it was not enough to overcome the offensive punch of Lamar as the Huskies fell to the Cardinals by the score of 55-7 at Husky Field in Houston, Texas on Saturday, October 31, 2015. The Huskies lone touchdown can with 41 seconds remaining in the first half on a 34-yard run by Dawson and the kicking conversion by Travis Shinn. The Cardinals ripped off 568 yards of total offense with 324 of those yards coming on the ground. The Huskies could only manage 233 yard of total offense, with 146 yards in the air. Lamar jumped out to a 14-0 lead after the first quarter and increased that lead to 34-0 with 41 second remaining in the first half. That was the point where Dawson scrambled for his 34-yard touchdown run. Lamar added 14 additional points on the third quarter and closed out their scoring with seven points late in the fourth quarter. 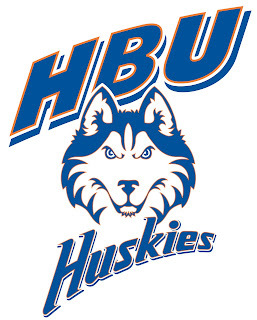 HBU head coach Vic Shealy, in the post-game press conference, discussed the HBU effort. Defensively, the Huskies were led by Eric Amoako and Garrett Dolan with 12 tackles, followed by Cody Moncure with 11. On the offense side of the ball, Ethan Fry caught four passes for 47 yards and Terrance Peters carried the ball 10 times for 41 yards. The Huskies will have the next week off prior to their final two games of the season. They will face Stephen F. Austin on Saturday, November 14, 2015 and will close out the season against Incarnate Word on November 21, 2015 at home. PHOENIX, ARIZONA (October 31, 2015) The 2015 USA Baseball Premier12™ Team battled Canada to a 2-2 tie Saturday afternoon at the Maryvale Baseball Park in Phoenix. A strong effort from the U.S. pitching staff provided fourteen strikeouts to hold Canada scoreless through the final seven innings. USA Baseball alumni Casey Coleman ran into trouble in the second as Canada took an early 2-0 lead on a bases-loaded walk by Kellin Deglan and an RBI groundout from Skyler Stromsmoe. Team USA starting second basemen Tyler Pastornicky (Philadelphia Philles) cut the lead in half with an RBI single to bring home Jacob May (Chicago White Sox), who reached base on an error to lead off the inning. May proceeded to steal second base and then advanced to third on a passed ball. Pastornicky finished the day going 2-for-3 with 1 RBI. Both teams were quiet in the middle part of the game before Team USA added a run in the seventh inning to tie the game at 2-2. Brett Phillips (Milwaukee Brewers) singled to left field to start the inning and then stole second to set the table for May. The switch hitting center fielder came through for the U.S. as he hit a line drive base hit to center field to tie the game. The Team USA pitching staff turned in a scoreless final seven innings, highlighted by right handed pitcher JB Wendelken. The right hander, who is in the Chicago White Sox organization, was impressive as he struck out the side in the bottom half of the ninth. The USA Baseball Premier12™ Team will be back in action against Canada for game two of the three game set, on Sunday afternoon at 3 p.m. ET from Maryvale Baseball Park in Phoenix. 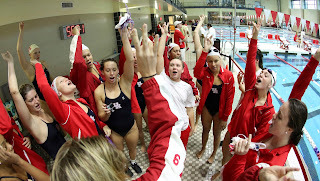 HOUSTON, TEXAS (October 31, 2015) The University of Houston Swimming & Diving Team had six individual event champions Saturday afternoon, including the diving team sweeping both events against North Texas at the Campus Recreation and Wellness Center Natatorium. The Cougars fell to the Mean Green, 164.5-135.5. 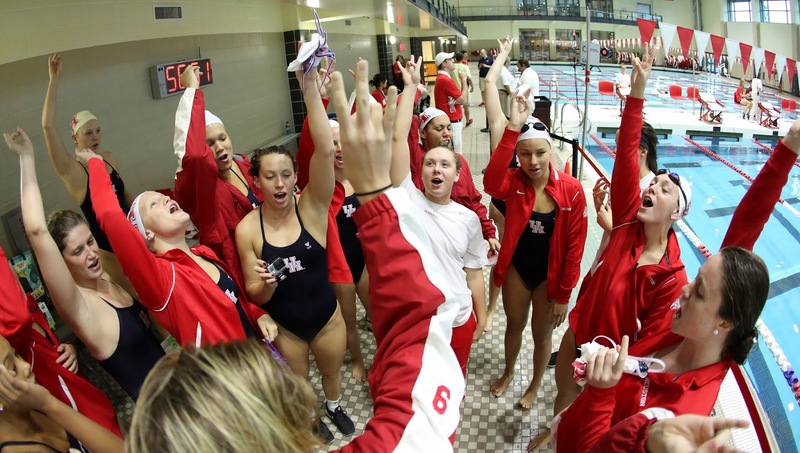 Despite the loss, Houston produced six event victories, from Delia Weber (1,000-yard freestyle, 500-yard freestyle), Sharo Rodriguez (200-yard butterfly) Micaela Bouter (1-meter dive, 3-meter dive), and Eleanna Koutsouveli (200-yard backstroke). The divers swept the meet, going 1-2-3 in both the 1-meter and 3-meter. Leading the pack was Bouter, who finished first in both the 3-meter and 1-meter, scoring 337.05 and 308.85. Senior Danielle Shedd earned second in both events with a score of 335.40 in the 3-meter and 304.13 in the 1-meter. Taylor Olanski rounded out the podium in both the 3-meter and 1-meter with her scores of 316.65 and 281.78. Houston’s relay teams had four podium finishes in two events. In the 200-yard medley relay, the Cougars finished second and third. The team of Koutsouveli, Ashley Grijalva, Rodriguez and Doroteja Bednjanec placed second with a time of 1:46.96. They were followed by the team of Jenny Penneck, Cameron Balkom, Taylor Derevyanik, and Caitlin Horner to round out the podium with a time of 1:48.40. In the 400-yard freestyle relay, the team of Horner, Moore, Bednjanec and Hannah Herbst finished second with a swim of 3:31.41. In third was the team of Julie Gibson, Weber, Maya Owens and Derevyanik in a time of 3:35.11. Weber won the 1,000-yard freestyle for the second day in a row with a swim of 10:13.26. Freshman Herbst placed second in a time of 10:27.88. Weber’s second win of the night came in the 500-yard freestyle, with a time of 5:02.24 as Herbst tied for second with a time of 5:09.48. Koutsouveli finished second in the 100-yard backstroke with a time of 58.33. Her third individual win of the weekend came in the 200-yard backstroke with a swim of 2:03.02, a collegiate personal best. In the 100-yard breaststroke, sophomore Balkom placed third, swimming it in 1:06.63. The podium finish led the Cougars in the event. Rodriguez captured first place in the 200-yard butterfly, swimming a time of 2:04.72. The individual victory was Rodriguez’s second in as many days. She also placed second in the 100-yard butterfly with a time of 57.57. In the 50-yard freestyle, Horner finished second with a time of 24.22 and Bednjanec placed third by swimming a time of 24.34. Horner followed that up by placing third in the 100-yard freestyle, swimming the race in 52.83. In the 200-yard breaststroke, sophomore Grijalva placed third, leading the Cougars with a time of 2:24.55. In the last individual event of the day, Koutsouveli swam a team season best and personal colligate best in the 200-yard IM with a time of 2:08.97, good for second. Rodriguez was right behind her with a swim of 2:10.76 for third place. 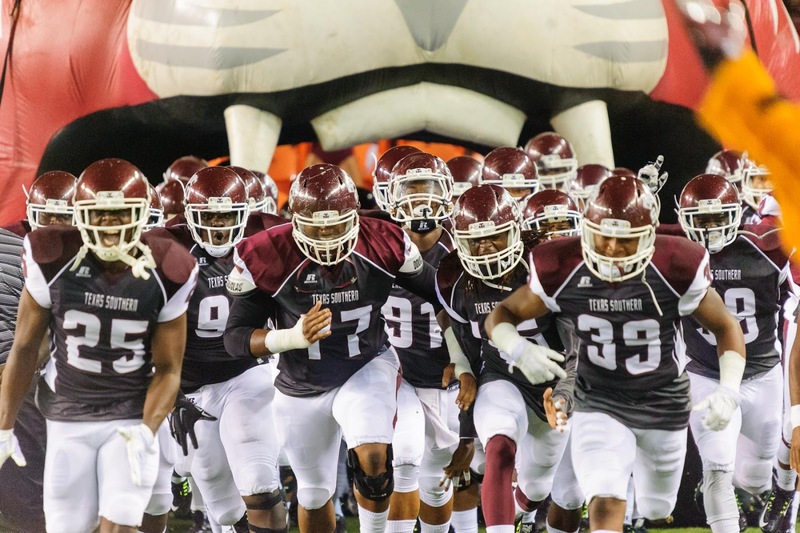 HOUSTON, TEXAS (October 24, 2015) Texas Southern tied the score at 21 with 1:18 remaining in the first half, but Southern University scored 19 unanswered points in the second half to down the Tigers by the score of 40-21 at BBVA Compass Stadium in Houston on Saturday, October 24, 2015. With the loss, Texas Southern falls to 3-4 for the season and 2-4 in SWAC play. The Jaguars raised their record to 4-3 and 4-1 in conference play. TSU and Southern traded touchdowns in the first quarter, tying the score at seven. 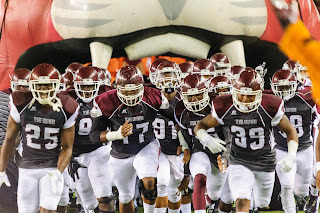 The Jaguars scored also two additional touchdowns in the first quarter prior to TSU adding one to their total. At the end of the first quarter, Southern was leading 21-14. TSU tied the score at 21 points with 1:08 left in the half. Both teams took the tie to the locker room at halftime. Coming out in the second half, Southern scored four times; two touchdowns, one field goal, and a safety to put the game away. TSU was unable to score in the second half. 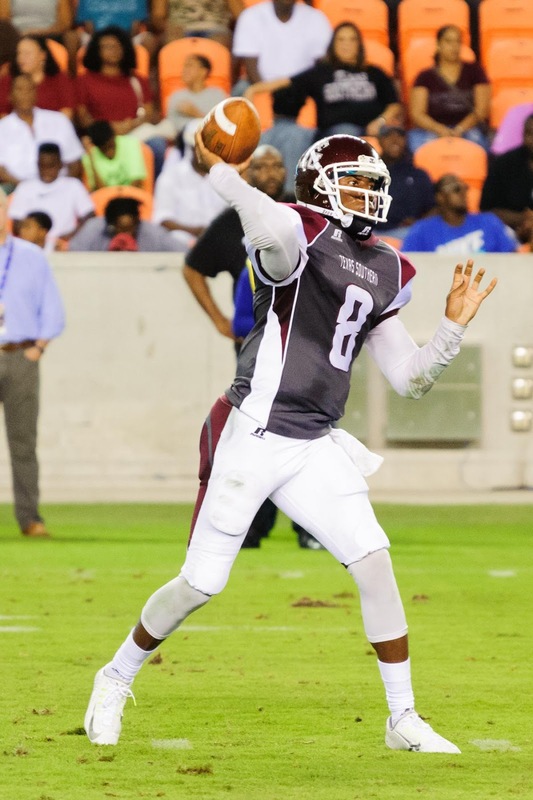 TSU scored two of their touchdowns off the arm of quarterback Averion Hurts. 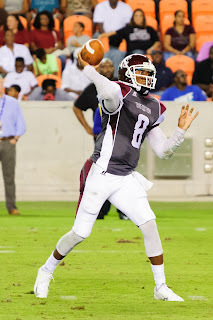 He completed six-of-eleven passes for 102 yards, including passes of 54 and 18 yards for the scores. His first TD pass was the 57-yarder to Larry Clark at the 1:08 mark in the first quarter. His second scoring pass was 3:13 into the second quarter in the form of the 18-yard pass to Milik Cross. The Tigers’ other score was a two-yard run by Brad Woodard with 12:32 left in the first quarter. Offensively, TSU had trouble matching the Jaguar punch; tallying a mire 92 yards of total offense against the 377 yards of Southern. Defensively, Zacch Bamijoko accounted for eight tackles, with two of them solos. TSU will take on College of Faith at 1 p.m. on Halloween (October 31) at BBVA Stadium. Southern will play Alcorn State at A.W. Mumford Stadium in Baton Rouge with a 4 p.m. kickoff. SLU led HBU 16-0 at the half. 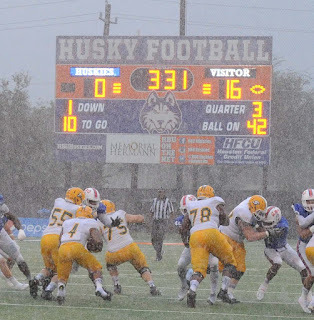 HOUSTON, TEXAS (October 24, 2015) With both teams valiantly taking to Dunham Field at Husky Stadium before the torrential rainfall from the remnants of Hurricane Patricia hit the Houston area, the Lions of Southeastern Louisianadowned the Houston Baptist Huskies by the score of 22-7 on Saturday, October 24, 2015. With the loss, the Huskies fall to 2-6 for the season and 0-5 in Southland Conference play. Southeastern raised their season record to 4-3 and 3-2 in conference action. SEL increased their series record to 2-0 against the Huskies. Last season, Southeastern downed HBU by the score of 76-7 in Hammond, Louisiana. The Lions scored nine points in the first quarter on a safety and a passing touchdown. Husky quarterback Max Staver bobbled the ball on a third-and-eight quarterback keeper play for a three-yard loss. He recovered the ball in the end zone, but was down for the safety. At the 2:55 mark, quarterback D’Shaie Landor connected with De’Quan Smith for a 10-yard touchdown pass. Jonathan Tatum split the uprights with the kicking conversion to give Southeastern Louisiana their nine-point lead after 15 minutes of play. With 58 seconds left in the half, they scored their second touchdown on the game, wide receiver Trey Hallman carried the ball the final two yards of a 80-yard drive for the six points. Tatum again did his job and scored the kicking conversion to make the score 16-0 at halftime. The Lions added an insurance score when Julius Maracalin capped a 66-yard, four play dive with a five-yard run for his second touchdown of the season. After the Tatum extra point, SLU led HBU by the score of 22-0 with 9:24 remaining in the game. HBU finally got on the scoreboard 62 seconds later when Terrance Peters rushed 77 yards for the score. Travis Shinn connected on the extra point attempt to cap HBU scoring for the afternoon. Peters carried the ball 16 times for 139 yards to lead the Huskies, while Maxwell Brown caught two passes for 17 yards. Defensively, Cody Moncure tallied 15 tackles, with eight of them solo, while Dorrin Turner accounted for 12 tackles (two solo). 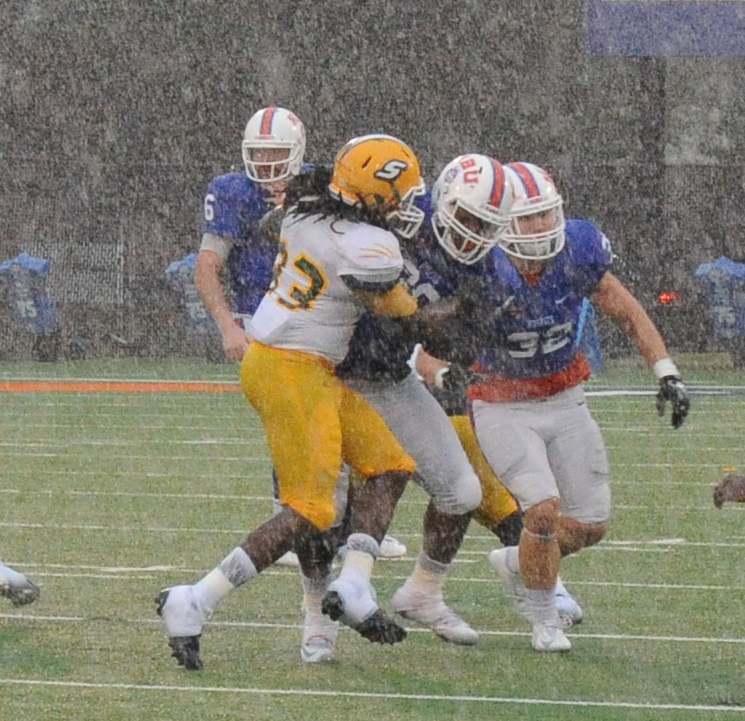 HBU could manage only 199 yards of total offense, with 170 of those yards on the ground. The Lions racked up 455 yards of total offense with 167 yards in the air. It took the Huskies until the fourth quarter to get on the scoreboard and Shealy commented earlier in the week, via a press release, concerning getting off to a good start in games. 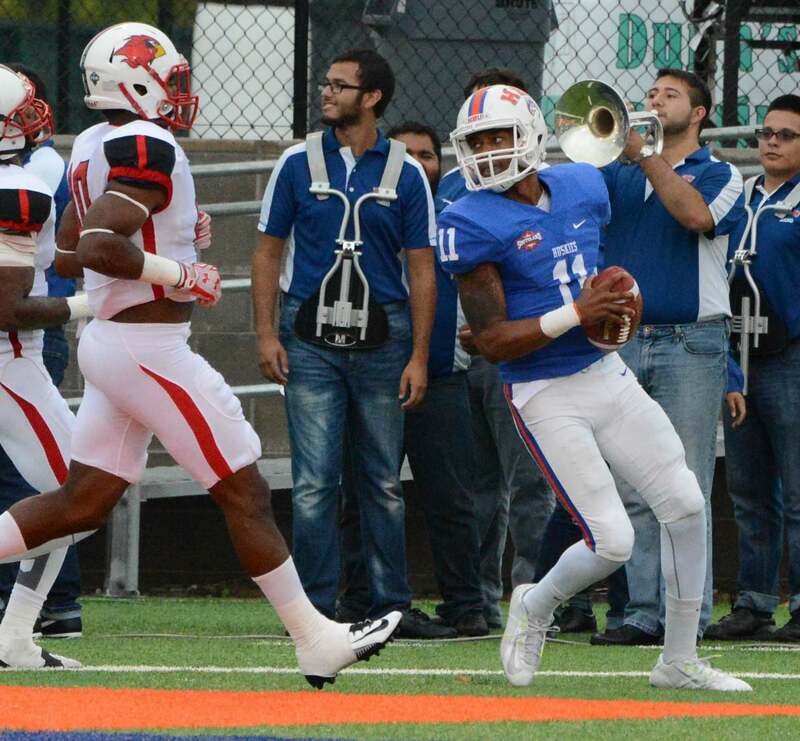 HBU will next face the Lamar Cardinals on Saturday, October 31 with kickoff scheduled for 2 p.m. CT. SLU will play their next game against Central Arkansas on the same day with a 7 p.m. CT start. in Crosby's 42-35 overtime win against New Caney. CROSBY, TEXAS (October 23, 2015) With the score tied at 28 after four quarters, Crosby quarterback Tristan Cotton fired an 18-yard pass to Emmanuel Netherly in overtime to secure a 42-35 victory over New Caney at Cougar Stadium in the Houston suburb of Crosby on Friday, October 23, 2015. With the win, the Cougars remain undefeated in district play with a 6-0 record and a perfect 8-0 record in 2015. Netherly added three touchdown to his season total; two in the air and one on the ground. The fleet-footed junior carried the ball one time for five yards and the score and caught passes of 27 and 18 yards for his other two scores. Cotton was 15-of-26 for 234 yards and three touchdowns while rushing 21 yards on nine carries. 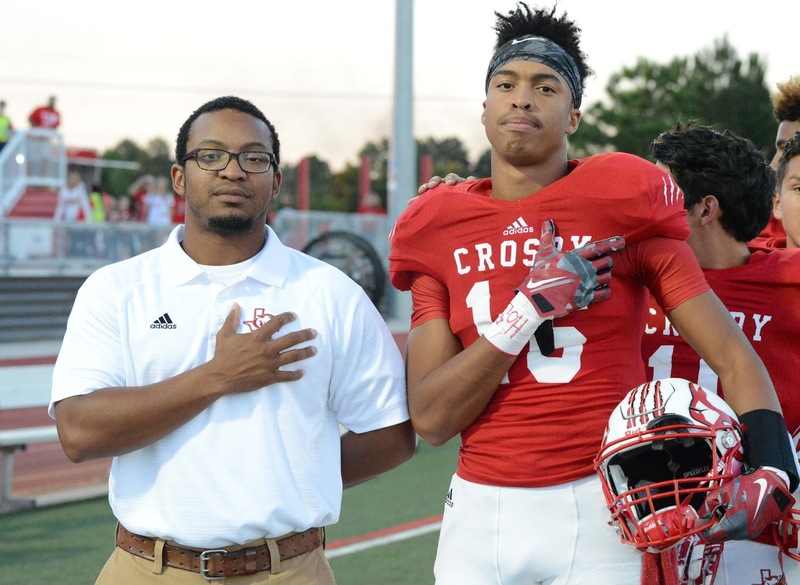 Crosby took an early lead in the first quarter with a 66-yard touchdown run by Craig Williams and a Yardley Cruz extra point. Cruz stepped up to the tee six times during the game and split the uprights on every extra point. New Caney scored twice in the second quarter on passes from Timothy Ware to David Harvey. Crosby added a touchdown between the New Caney scores with Netherly’s 27-yard scoring pass from Cotton to tie the score at 14 after 24 minutes. Both teams scored 14 points in the third quarter to again tie the score going into the fourth quarter. Crosby went ahead with 3:40 remaining in the game on a Cotton pass to Shammah Gray and the Cruz conversion. The Eagles took the kickoff and tied the score on a Mart’e Allison two-yard run and Eduardo Martinez’s extra point with 30 second left in regulation. With two weeks left in the regular season, Crosby will face New Caney Porter at Texan Drive Stadium on Friday, October 30 in New Caney. They will close out the regular season with a Friday, November 6 match-up against C.E. King at Cougar Field in Crosby. COPPERAS COVE, TEXAS (October 22, 2015) With the upcoming Heart of Texas Bowl on December 5 at Bulldawg Stadium, the Heart of Texas Bowl Committee has decided to make Gridiron Heroes one of the charities to be benefitted from the bowl game. On November 2, 2001, Chris Canales, a senior defensive back playing for San Marcos Baptist Academy, sustained a spinal cord injury during the fourth quarter of his final regular season game. Chris lay motionless on the field for 19 minutes. The next three weeks, Chris fought for his life. The following months he battled through rehabilitation trying to gain movement and learning how to function as a quadriplegic. Chris’ injury and the lack of any organized support system for families prompted his father, Eddie Canales, the Canales family, and former coach Mike Kipp to begin discussions about the desperate need for an organization for families who were forced to deal with the consequences of this devastating injury. In November of 2002, Chris and Eddie were in attendance at the Texas 3A State Championship football game in the Alamodome, in San Antonio. There they witnessed another spinal cord injury. This time it was Everman defensive back, Corey Fulbright. Chris turned to his Dad and said, “We need to go and help them. I know what he (Corey) is going to go through, and you know what the family will have to go through.” Inspired by the compassion of Chris, Eddie and Mike Kipp formed Gridiron Heroes Spinal Cord Injury Foundation. Articles of Incorporation were filed in February of 2003, and a 501(C) 3 Tax exempt status was obtained in May of the same year. Through a grant written by Eddie & his dad, Coach Robert M. Canales, funds received helped kick-off its first year. Receiving calls from other states has shown a need for the work that is being done. Gridiron Heroes has taken step towards helping others nationwide. There have been others who suffered this similar injury in the past. Unfortunately and inevitably there will be more. Rest assured that Gridiron Heroes will be there for the next family who finds themselves in this life-changing situation. 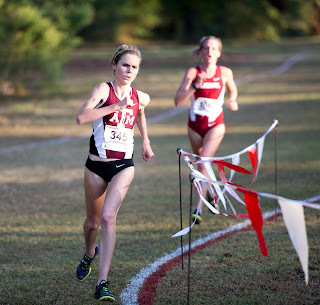 BIRMINGHAM , ALABAMA (October 20, 2015) Texas A and M junior Karis Jochen shared the SEC women’s Runner of the Week honor following her victory over 5,000 meters at the Crimson Classic hosted by Alabama last weekend. Also named SEC Runner of the Week was Dominique Scott of Arkansas. Jochen posted a time of 16:46.23 in leading the Aggie women to a fifth-place team finish in the Crimson Classic as she claimed the individual title by less than a second over Oklahoma State’s Natalie Baker (16:46.95) with Katelyn Greenleaf of Alabama (16:47.71) third. This is the second SEC Runner of the Week honor for Jochen this season. Scott, the defending SEC cross country champion, placed third in the Wisconsin Invitational as she led the Razorbacks to a runner-up team finish to No. 1 New Mexico. She posted a time of 19:32.5 on the 6,000-meter course to record the best time in the SEC over that distance this season. In the South Central region rankings the Aggies moved up one position in each gender. The A&M men are now No.3 while the women are No. 4. Texas A&M plays host to the SEC Championships on the Dale Watts Cross Country course on Friday, October 30 with the women’s race at 10 a.m. followed by the men’s race at 11 a.m.
WACO, TEXAS (October 20, 2015) Ethel Ajanga of Wiley College (Texas) was honored as the RRAC Women’s Cross Country Runner of the Week for Oct. 12-18. 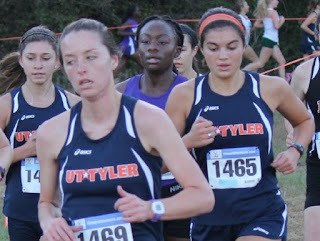 This is the seventh weekly award of the 2015 cross country season. Ajanga, a senior from Nairobi, Kenya, placed 15th in a field of 58 runners at the University of Dallas Invitational on Saturday. She posted a time of 21:34 in the 5K distance. 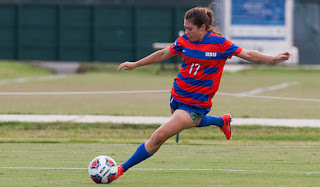 NATCHITOCHES, LOUISIANA (October 18, 2015) HBU women’s soccer scored three second-half goals to erase a 1-0 Northwestern State lead in a 3-1 Huskies win Sunday afternoon from the Lady Demon Soccer Complex. HBU (8-4-1 overall, 6-2-0 SLC) was led by Jessa LeBlanc and Sabriah Spencer, who each registered three-point games on the day; a career-high in points for LeBlanc. Blake Martin took a match-high four shots for HBU. Alanis Guevara earned the win in goal as she made four saves. Cassandra Briscoe scored for Northwestern State (5-8-3, 2-4-2), as she and Brittany Caserma had a team-best three shots apiece. Alex Latham suffered the loss between the pipes as she stopped six shots. The Lady Demons scored the game’s first goal just six minutes in, as Esdeina Gonzalez’s shot was deflected, but the rebound went to Briscoe who scored from 10 yards out. 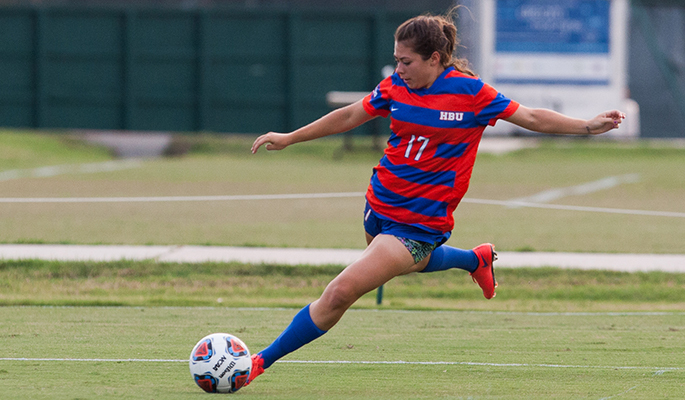 HBU outshot the Lady Demons, 10-8, in the opening half, but Northwestern State doubled up the Huskies in corner kicks, 4-2. HBU put the pedal to the metal to start the second half, with three corners and two shots on goal in the first 12 minutes, but nothing to show. The Huskies broke through in the 61st minute, as LeBlanc scored the equalizer, assisted by Spencer, who sent in a terrific cross. After clearing two corner attempts by the Lady Demons, the tandem of LeBlanc and Spencer struck again to give HBU a 2-1 lead in the 83rd minute, as LeBlanc passed to an open Spencer in the box. Sixteen seconds after entering the game as a sub, Gabby Rodriguez gave the Huskies some insurance, as she took advantage of a Northwestern State defensive miscue and beat Latham in the 88th minute for a 3-1 Huskies advantage. HBU outshot the Lady Demons, 7-3, in the second half and 17-11 in the match. Northwestern State held a slim 4-3 advantage in second-half corner kicks and controlled the corners, 8-5, in the match. HBU returns to Sorrels Field for the final three matches of the regular season, beginning with a Friday night tilt against McNeese State on Oct. 23 at 7:00 p.m.
Houston jumps three spots to No. 21 in AP poll while entering coaches poll at No. 22. HOUSTON, TEXAS (October 18, 2015) The Houston Football program climbed in both the Associated Press and USA Today coaches polls released Sunday, coming in at No. 21 in the AP poll and No. 22 in the coaches poll. 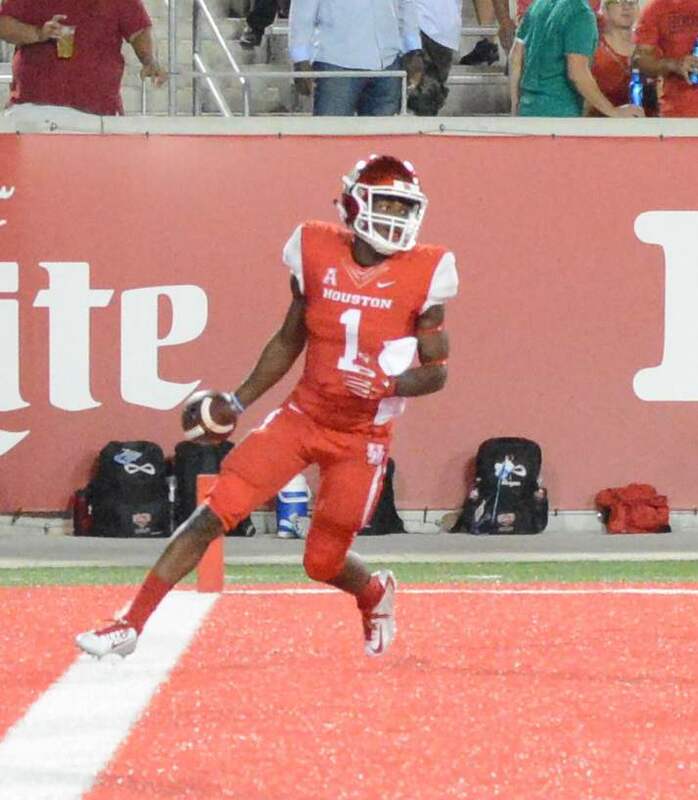 Houston’s climb comes after a 42-7 win over Tulane Friday night in New Orleans. The No. 21 ranking in the AP poll is Houston’s highest ranking since coming in at No. 18 in the final poll of the 2011 season when the Cougars finished the year 13-1. Houston is one of 14 teams still undefeated including three teams in The American (UH, Memphis, Temple). Twelve of the 14 are in action this weekend including Memphis (at Tulsa) and Temple (at East Carolina). Houston is the only team in The American to defeat four different opponents by 21 points or more. The Cougars are one of three undefeated teams nationally with at least four wins of 21 points or more (Baylor, Ohio State). This season is the fifth in Houston history for the Cougars to start 6-0 and the first since 2011. Houston has started 7-0 three times in program history (1979, 1990, 2011). The Cougars rank 11th nationally in rushing defense, allowing just 98.5 yards per game, while ranking 10th in rushing offense with an average of 279.2 yards per game. Houston and LSU are the only teams in the nation to rank in the top 11 in both categories. Junior quarterback Greg Ward Jr. (shown above right) is tied with LSU’s Leonard Fournette for the nation’s lead the nation with 14 rushing touchdowns, despite 57 less rushing attempts than Fournette. Ward is second nationally in scoring with 84 points while ranking fourth in points responsible for per game with 23.0 per game. Ward leads The American and is seventh nationally with an average of 359.2 yards of total offense per game. Ward is the only player nationally to average over 200 passing yards per game (260.4) and over 100 rushing yards per game (110.8). He ranks in the top 10 nationally in seven different stat categories. UH, Baylor and TCU are the only three teams nationally to rank in the top 28 in rushing offense and passing offense. Houston ranks 10th in rushing offense (279.2) and 28th nationally in passing offense (275.5). Houston returns to action this Saturday when it travels to Orlando to face UCF. Kickoff is slated for 11 a.m. CT and the game will air on ESPNews and KPRC 950 AM. Labels: American Athletic Conference, Greg Ward, Houston Cougars, Houston Cougars Football, Jr.
COPPERAS COVE, TX – As the countdown begins to December 5 for the CHAMPS Heart of Texas Bowl, there is a new one-stop shop for everything to deal with the annual bowl game. Today, the CHAMPS Heart of Texas Bowl unveiled its brand new, redesigned website at www.heartoftexasbowl.com. "We have worked tirelessly on this new bowl site. This site brings everything you need to know about the great bowl game and everything it stands for and all the organizations it benefits in one place." Joshua Koch, Director Media Relations, has joined the bowl team to operate the website. This new website has all the information about the upcoming bowl game, bowl game history and also tickets, parking, concessions and the charities the bowl game benefits. Also on the site you can find the latest NCAA D2 and NJCAA football news, including game recaps. stories, standings and more throughout the season. Along with the bowl website, be sure to LIKE the official CHAMPS Heart of Texas Bowl Facebook page and also FOLLOW the bowl game on Twitter @heartoftxbowl. affiliate members of the LSC starting this season. COPPERAS COVE, TEXAS (October 17, 2015) The Lone Star Conference is going to have a fun next few weeks figuring out which teams will represent the conference in the NCAA Division II Playoffs and the Heart of Texas Bowl. Currently, through the first six games, Midwestern State and Texas A&M-Commerce have looked unstoppable, both posting 4-0 records in LSC play. It is expected right now that Midwestern State and Texas A&M-Commerce will clash for the LSC Championship on November 14, with the winner heading to the NCAA Division II Playoffs. Behind Midwestern State and Texas A&M-Commerce there are three teams in LSC that could make a late-season push into the playoff and bowl game picture - Angelo State, Eastern New Mexico and West Texas A&M. All three teams currently sit at 1-2 in LSC play and will be fighting to get the third and fourth seeds for the LSC Playoffs, which would slate them against top-seeded Midwestern State and Texas A&M-Commerce. Below are potential Heart of Texas Bowl teams. In the next three weeks there will be some crucial games to determine seeding for the LSC PLayoffs, but some big games happen this weekend. On Saturday, West Texas A&M will get a shot at Texas A&M-Commerce, which is the game of the week and a chance for West Texas A&M to get a step closer to one of the top four seeds. At the same time it is a big game for West Texas A&M considering, Angelo State and Eastern New Mexico both could walk away with wins of its own, putting some distance there between the fourth and fifth place slots. Eastern New Mexico will play Tarleton State, while Angelo State takes on Texas A&M-Kingsville and Midwestern State faces Humboldt State (Calif.). These are the teams to start watching as we get closer to a Heart of Texas Bowl Game bid being handed out. HOUSTON, TEXAS (October 16, 2015) Marcelo Acuna’s second goal of the game gave HBU a 2-1 lead midway through the second half, but UMKC tied the match in the 78th minute as the two teams battled to a 2-2 double overtime tie Friday night at Sorrels Field. With the tie, HBU remains unbeaten at Sorrels Field with a 4-0-1 record. Acuna scored season goals number six and seven for the first two-goal game of his career to lead HBU (6-6-1 overall, 2-2-1 WAC). George Kelley earned the assist for both goals. The duo along with Dominick Faletto had two shots on goal apiece. Chance Pope made three saves in goal. Leading scorer Pandelis Popgeorgiev assisted on both goals for UMKC (3-6-2, 1-2-1), while Derek Schrick and Diego Serfaty scored goals. Ryan Tome stopped five shots for the Kangaroos. Sixteen minutes into the match, Faletto’s header attempt on a corner nearly gave HBU a 1-0 lead, but UMKC’s Roberto Albuquerque made the team save to keep the match scoreless. Acuna’s first goal of the match came with four minutes remaining in the half, as he scored just under the cross bar, assisted by Kelley. HBU outshot the ‘Roos 7-2 in the first half and had four of the five corner attempts. It took two minutes into the second half for UMKC to tie the match, as Broc Cramer passed up the field to Popgeorgiev, who sent a cross pass to Schrick for the score. Tome made a fantastic save on a Ricky-Paul Mupier header in the 53rd minute. Seconds later, Tome stopped a Juan Vega scoring chance. In the 63rd minute, Acuna struck again, as Kelley passed up the field to Acuna and he beat Tome near side for a 2-1 Huskies lead. Less than a minute following a UMKC corner kick, the ‘Roos knotted the game at 2-all, as Serfaty’s shot beat a diving Pope. HBU outshot UMKC 5-2 in the two overtime periods, but could not get the golden goal. The Huskies outshot UMKC, 19-11, for the match and had a 10-4 advantage in corner kicks. 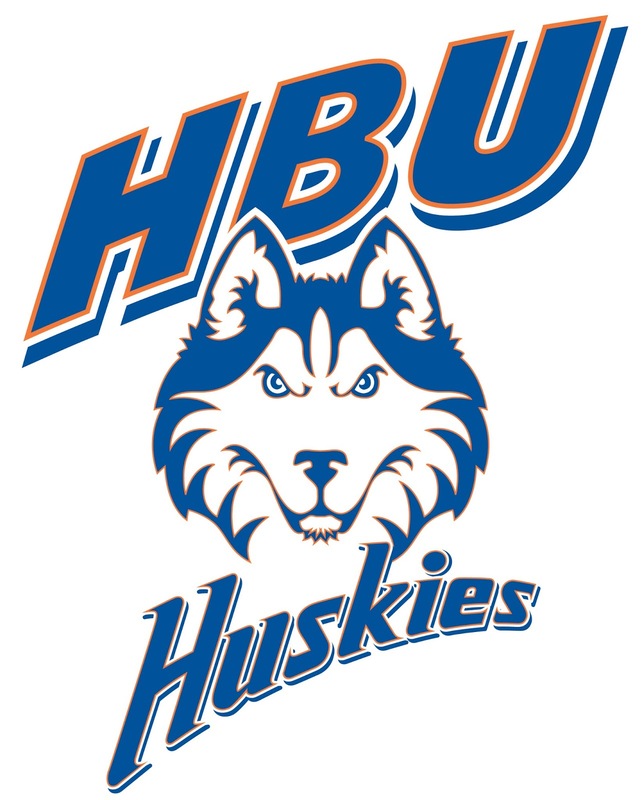 HBU hits the road to play at Air Force Sunday, Oct. 18 at 2:00 p.m. central time. Photo by Pat Carrigan-First Down Photos. Used with permission. COPPERAS COVE, TEXAS (October 13, 2015) The CHAMPS Heart of Texas Bowl has recently announced they have retained the services of sports marketing expert Ronald Oswalt in the lead up to the 2015 classic. The 1989 graduate of the University of Southern Mississippi will arrange strategic partnerships and direct marketing during the time leading up to the bowl game. The 2015 edition of the yearly classic will be held at Bulldawg Stadium in Copperas Cove, Texas and is scheduled for Saturday, December 5, 2015. The bowl will consist of two games; one between two top teams representing the National Junior College Athletic Association. 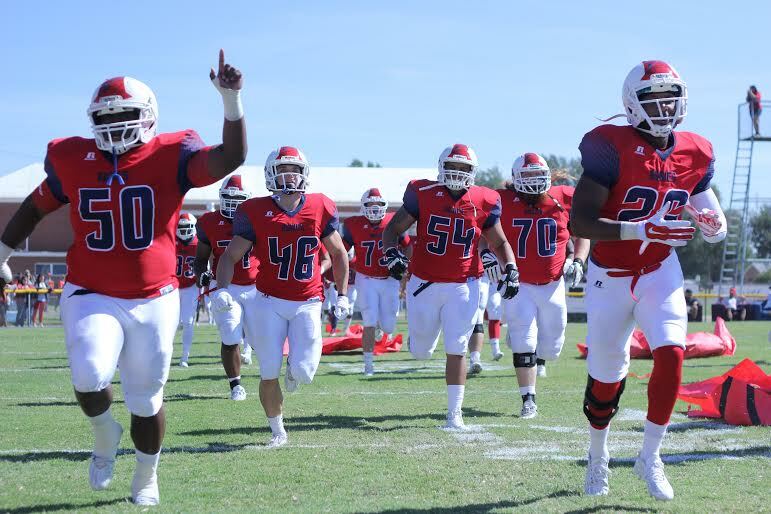 The other game will be between two NCAA Division II teams, with one being a member of the Lone Star Conference. "We are pleased to welcome Ronald and look forward to his leadership in developing the Heart of Texas Bowl into an even greater event for student-athletes, coaches and fans. We have received terrific support from the Central Texas business community and Ronald has the experience and ability to enhance these partnerships to make the Heart of Texas Bowl a long-term success." Oswalt, who hold a degree in sports marketing management, has worked for various teams and organizations over the years, including the Beaumont Drillers of the American Professional Football League, the Katy Copperheads of the National Indoor Football League, and the Texas Copperheads of the arena football league 2. In addition, he was the Vice-President/General Manager of the Austin Turfcats in the Southern Indoor Football League. 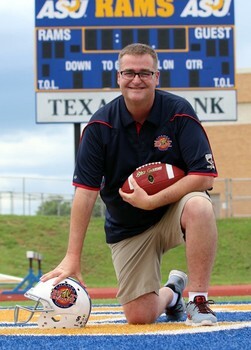 Most recently, Oswalt served at the Chief Operating Officer/Partner of the website TexasHSFootball.com. "I am thrilled with the opportunity to assist the Heart of Texas Bowl family. Copperas Cove offers a rich bowl tradition and I look forward to building on that history and bringing new bowl memories to the area."